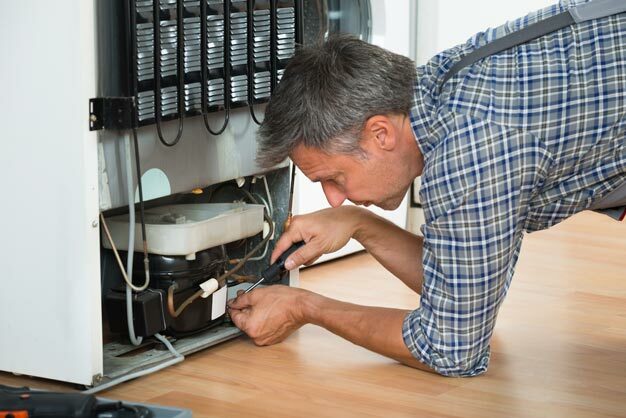 WHY REGULAR CHECKUP OF YOUR ELECTRICAL APPLIANCES IS SO IMPORTANT? The electrical appliances at your home/office are working properly and it does not even cross your mind that they might need a checkup. Are you aware of the fact that most of the damages occur without showing any signs of their presence? For example, the heating-resistor of your stove could amortize over a period of time in small amplitudes, weakening its ability to heat. You can`t really notice this, until the moment comes and the appliance is not working anymore. Let us point out that quite often the damage of a certain part inevitably leads to problems with the rest of the components of the appliance. There are many examples, not only for the electric stove. Now, think of how much a repair will cost. Compare the amount for the repair with the amount you would pay for a regular checkups. Well, which one is best? There are other examples, when, in order to have an actual warranty period for a certain electrical appliance, the manufacturer has explicitly indicated that regular checkups are required. You do not have much of a choice in such situations, but look for a company that provides such type of services. In both situations is where we step in. Contact the specialists in HappyAppliances every time, when you need checkup for your electrical appliances before they get broke or damaged, or before their warranty card is being rejected. WHY SHOULD YOU TURN EXACTLY TO HAPPY APPLIANCES? 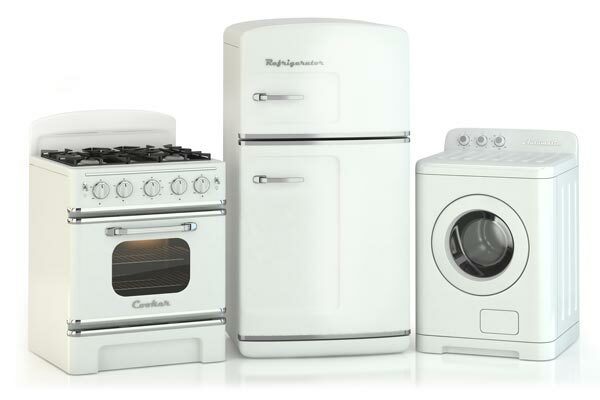 Our company is a leader in the field of repair and preventive activity of electrical appliances in London. We perfectly know how domestic appliances should function and we will immediately notice any deviation from the admissible limits, before it becomes a problem, much harder to manage with. The HappyAppliances`s team of specialists are really diligent in their work. They will not just get a quick look over your appliance, they will look through every detail, in every component of it, no matter how small it is. And once they find that everything is in order, they will not just leave straight away. You will get much more – you get one year warranty that your device will not have the same problem. After performing the inspection and the prevention, our team will leave you a document for its expert conclusion. You will be provided with information, if all the components and parts of the appliance are in good order, and in case they are not – you will receive recommendations for patching the damage, as well as an offer for repair by our team. Perhaps you may bring the following to your mind: -"It is possible that they could lie to me that something is wrong, after all they are ‘specialists’ and I do not understand what it is about, at all?". Yes, it is normal to be cautious, but you should keep in mind that HappyAppliances is a licensed company, with good reputation, and we do not aim to harm you at all. The cost of the preventive services that we offer is affordable, consistent with the specifics of each separate case, and the price is competitive in all London ares. You should not hesitate or worry to ask our specialists all the questions you may have during their visit. Share with us what could possibly bother you about the functioning of a certain appliance. After they hear your thoughts, our specialists will give you all the comprehensive information that you need. You will receive recommendations about the proper use of the appliance, in order not to disturb its normal way of operating. Excellent service! The engineer call me 30 min before he arrived, he was on time and find the problem in no time! I had an issue with my washing machine , he did a fantastic job, really helpful and professional. Washing machine repair.The engineer did a great job. Friendly, customer service, skilled and polite engineer.Recommended! I booked this company day before. Takes 1 hour for fix my Oven and Washing machine. Very professional and friendly technician. Highly recommended. Excellent service, way beyond standard. Danny and Mladen polite, friendly and professional. Offered 3 options for the job at different prices and no pressure. Punctual, clean and tidy. Will use again for our South London properties. The whole experience was terrific! There is nothing like coming home from work and seeing your fridge working. Alex did such a terrific job and I can't thank him enough for all his hard work!! Used Happy appliances to fix my washer dryer which stopped heating up. Jonathan the engineer was super helpful and did a good professional job in fixing it. The engineer came on time, was efficient and friendly. Happyappliances repair my fridge quickly. Excellent service The engineer from happyappliances was polite, friendly and tidy. My Miele fridge has been repaired quickly and on very good price.